A motorbike racer from the Isle of Man has died following a crash at the Oliver's Mount Spring Cup. Billy Redmayne, 25, from Laxey, sustained severe head injuries in the crash and passed away at James Cook University Hospital in Middlesbrough. His girlfriend Hannah Wright announced Redmayne's death on Facebook and said he "died doing what he loved". Wright said Redmayne's death came on the date of their second anniversary. "Words cannot describe how hard this is for us all. Saying goodbye to him was the hardest thing I have ever done," she said. Redmayne won the Junior Manx Grand Prix in 2015 and was regarded as one of the brightest prospects in the sport. 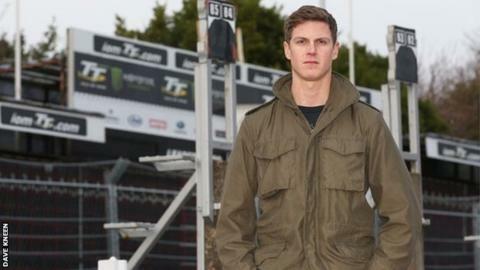 He had been set to make his debut at both the North West 200 and Isle of Man TT races this summer. Redmayne was a serving member of the Parachute Regiment who had served in Afghanistan and had the full support from his regiment to pursue his road racing ambitions.